Supplements are nutrients or herbs that are taken as a pill, tablet, capsule or liquid. They are meant to add to or enhance your dietary intake of vitamins and minerals from foods. They can also have a particular biological or physiological effect. For example, they can balance your hormones, correct a deficiency, or calm your nervous system. Why Would You Take Supplements? People will take supplements for many reasons. Most commonly, to correct a disease state or to ensure balanced nutrition and stay healthy. Our food supply is deficient in certain vitamins and minerals. For example, our soil is deficient in magnesium. So plants aren’t able to absorb it from the soil. So leafy greens that normally supply us with magnesium, can’t. Your stress level is too high. Under stress, the demand for certain vitamins and minerals increases exponentially. Even with a healthy diet, you may not be able to meet the demand for the vitamins and minerals that help your body cope with stress. Our diet isn’t ideal. Convenience foods are often lacking in nutritional value. If you are eating on the run, grabbing takeout or restaurant meals, you can be lacking certain vitamins and minerals and getting too much sodium, carbs and trans fats. Your organ systems aren’t working at their full potential. Deficiencies of vitamins and minerals mean that your organs can’t work at their best. Supplementing is a good way to turn this around. Most people can benefit from taking one or more dietary supplements. Either to maintain their existing good health or to fix a health problem. Certain supplements can be dangerous if you take too much or take them for too long. Some products are also contraindicated for certain populations like infants, elderly or pregnant or breastfeeding women. Always consult a naturopathic doctor before using them to make sure that they will be safe and effective for you. Yes! Provided that you take the right one for your particular situation, in the right amount, from a good quality manufacturer. Are There any Studies that Prove They Work? Yes! Our naturopathic doctors read scientific literature every day that documents the effectiveness of the supplements that they recommend. If you check each of our Conditions pages, you’ll see a sampling of the research related to that particular condition. Can Supplements Overcome a Bad Diet or Unhealthy Lifestyle? No. The foundations of good health are a healthy diet, stress reduction, exercise, and good sleep. Compromising on these and expecting to take a pill that will undo the effects just doesn’t work. Are Liquids better than Tablets or Capsules? Herbal liquid tinctures do sometimes work better than capsules or tablets. For example, Chastetree liquid works better than tablets or capsules. This is because the active ingredients from the herb are better preserved by the alcohol in the tincture than in the capsules. Getting a higher dose of this herb is also easier to accomplish with a tincture than with tablets or capsules. For example, 1 teaspoon of certain tinctures can equal the amount in 10 tablets. Liquids or powders do not provide any particular advantage for vitamins or minerals. Your stomach liquefies what you put into it. If you take a tablet or capsule, it will be a liquid when it leaves your stomach. So, herbal tinctures, in some instances, are better than tablets or capsules, but vitamins and minerals aren’t necessarily better in a liquid or powder state. They are just marketed that way and often cost more. Choosing a good quality fish oil means looking for purity, freshness and ease of absorption. Norwegian standards for purity are higher than North American standards. For freshness, manufacturers need to check for both peroxide content and anisidine content. Many manufacturers only check for peroxides. This measurement alone is not sufficient to ensure freshness. For absorption, look for a product that is in the “natural triglyceride” form. For a good probiotic, look for guaranteed colony forming units until the “time of expiry” not at the “time of manufacture”. For example, if the product says that it contains 50 billion colony forming units (CFU), it should say guaranteed to contain 50 billion CFU “at time of expiry”, NOT at “time of manufacture”. Probiotics are not for everyone. In patients with SIBO, probiotics can make matters worse. Look for the forms of calcium and magnesium in the product. 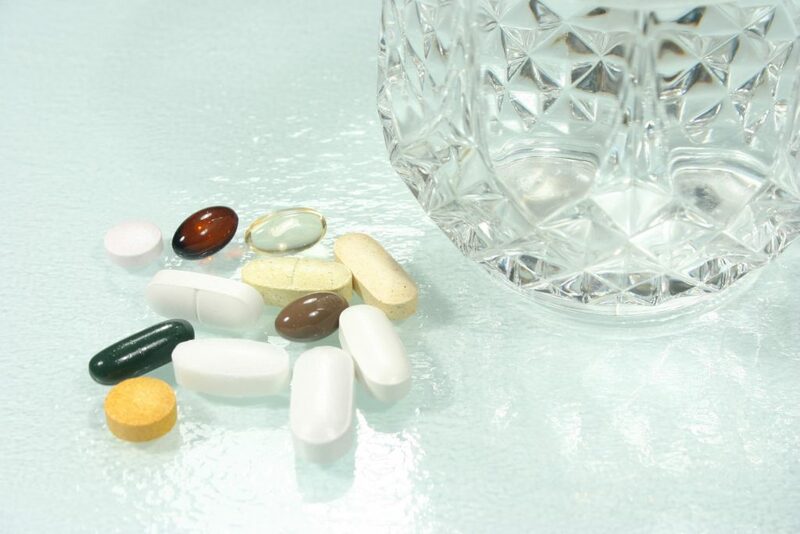 This is a quick and easy way to assess supplement quality for multivitamins. For calcium, the best form is a hydroxyapatite form. Second best would be calcium citrate. You do not want a product that contains calcium carbonate. Carbonate forms are poorly absorbed and they neutralize your stomach acid. This impairs your ability to absorb calcium and other minerals. Magnesium oxide is a cheap, poorly absorbed form of magnesium. It can cause loose stool or diarrhea. For herbal products, look for it to claim that the product is “standardized” to the active ingredient in the herb. For example, the herb Tribulus should be standardized to the protodioscin content. What Time is Best to Take Supplements? The best time to take them is when you can remember to take them consistently. Certain vitamins and minerals are best taken with food. For example, zinc supplements can really upset your stomach if you don’t take them with enough food. Herbs are best taken on an empty stomach, but people often forget to take them before eating. In that case, I prioritize taking them on a consistent basis, regardless of eating. Some products are only taken once per day, others are better spaced out throughout the day. Want to Know What are the Best Supplements for Weight Loss, Mood, Exercise, Stress or Gut Health? Talk to one of our ND’s, they are the supplement experts and can advise about the best supplements for your specific situation. We’re here to help! Call the clinic at 416-481-0222 or book an appointment online any time here.